Warner Bros. has cancelled two more red carpet events for The Dark Knight Rises in the wake of an attack at a midnight screening of the film in the US. It said cast members would not be making appearances in Japan and Mexico scheduled for Monday, due to the tragic events in Colorado. A Warner Bros spokeswoman also said that out of respect for the victims and their families, Warner Bros. Pictures will not be reporting box office numbers for The Dark Knight Rises throughout the weekend. Warner Bros already cancelled the movie's Paris premiere, which was to include appearances by the cast and crew, including director Christopher Nolan and Christian Bale, who plays Batman. Twelve people were killed and 58 hurt in the attack at a Century 16 cinema in Aurora, near Denver. Meanwhile the Daily Mail seem to be taking great delight in trying to pin the killer's behaviour on something that can be readily demonised. It is all so perfectly fitting that in the wake of a murderous rampage in which 70 people are shot ---12 fatally, including a 6-year-old girl --- and countless families are sacked with unspeakable grief, you would take the time to share with us your feelings. Director Christopher Nolan, speaking on behalf of the cast and crew of The Dark Knight Rises, you told us how much you love going to the movies and how they are one of the great American art forms. You are devastated that such an innocent and hopeful place --- here you are talking about the movie theaters that play your twisted movies --- would be violated in such an unbearably savage way. I mean, really, who could think up such monstrous hatred and nihilistic violence? Umm, have you watched any of your own movies lately? And, in the selfless modesty that is the hallmark of an Academy Awards ceremony, you tell us that your feelings about the massacre are so deeply profound that the mere words of the English language built up over hundreds of years are simply not up to the task of describing them. Wow. You do have a gift for fantasy. But the real clue that you remain shrouded in guilt-free delusion is when you mention the senseless tragedy that has befallen the entire Aurora community. Senseless? Really? If by senseless you mean carried out almost precisely from the scripts of your own movies, then, sure, it was senseless. As for you, Sean Penn, you paragon of endless moralizing, we would like to thank you, too, for underwriting last week's ultra-violence and real-life carnage at the movie theater. One of the last scenes that 6-year-old saw in her precious life was a trailer for your movie. In the final clip of a trailer filled with orgiastic bloodshed, you have some classy actors with machine guns unload from behind a movie screen into a crowd seated in a theater, watching a film. Ring a bell, Sean? Sound familiar? To be fair, you haven't only inspired murderous rampages. It is true that you have also entertained. But is the fleetingness of that entertainment nearly so profound as the terror you inspired here? Will it outlast the irreversible permanency of 12 deaths, including that of a 6-year-old girl? Which brings us to Warner Brothers, those titans of decency. You bankrolled The Dark Knight Rises and so many other pointlessly violent movies that infect feeble minds and bring hatred upon America. You, it is reported, are feeling really sad about those poor saps who paid to see your wicked movies --- only to have the very scenes come alive and kill them in the dark, sticky rows between seats of a movie theater. Out of your respect for these people, you declared you would not announce box-office receipts from this weekend's snuff film. Instead, you will count your $150 million in bloody money --- privately. Who will take the heat? Guns, or movies featuring guns? Warner Bros have pulled their Gangster Squad trailer after the Colorado cinema massacre and in addition, are cutting gun scenes out from Dark Knight Rises trailers. It's a small, symbolic concession to show that the violence has shocked the studio to the core. It's something that we expected, but could more restrictions be placed on trailers? Is this also going to have an impact on gun laws in the future? Warner Bros is now rethinking its plans for the film Gangster Squad in light of a scene featuring a movie-theatre shooting, but beyond that Hollywood executives expect little fall-out from the mass killing at a Batman screening on Friday in Aurora, Colorado. Officials at Time Warner Inc-owned Warner Bros are expected to discuss whether to remove or edit the Gangster Squad shooting scene, or to change the September 7 release date for the film. Warner Brothers have already pulled the trailer that included the scene in which men open fire with machineguns on an audience in a movie theatre. The immediate reaction is to go to some dark place when something like this happens. By Monday that's forgotten and the business of releasing a movie takes over, said one person familiar with the studios' thinking. Especially for big-budget films, studios like to stick with planned openings as they spend tens of millions of dollars to raise awareness in advance. Filmgoers don't dwell on isolated incidents for long, said Peter Sealey, a former Columbia marketing chief who now heads the Sausalito Group consulting firm. Ronn Torossian, chief executive of New York-based 5W Public Relations, agreed that the public has a very short-term memory of news events and said the Aurora shooting would not leave a long-term impact on film promotion. Warner Bros. is making a substantial donation to victims of Friday's shooting rampage in Aurora, Colorado., during a screening of The Dark Knight Rises. A spokeswoman for the studio said that execs have arranged for the donation following conversations with Colorado Governor John Hickenlooper. 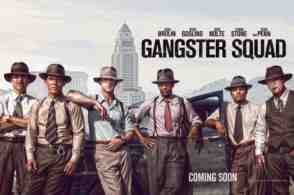 Warner Bros. is moving the release of Gangster Squad to Jan. 11, postponing it from its scheduled Sept. 7 release date in order to accomodate reshoots because of a scene of a movie theater shoot-out in the completed film that became problematic in the wake of the Aurora, Colorado. massacre. The film included a climactic gun that was filmed at Grauman's Chinese Theater. The scene could be glimpsed in a trailer for the movie that the studio pulled from circulation on July 20 after the shooting that claimed 12 lives.